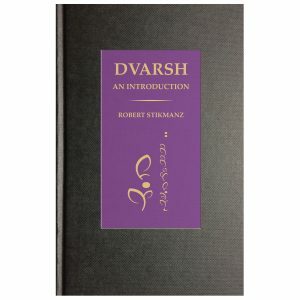 A unique work of imaginative literature, Dvarsh, An Introduction, by Robert Stikmanz, layers an extraordinary amount of vision, play and detail into 162 pages. At once a thoughtful, practical reference, and a highly original, non-narrative fiction, the volume includes a short essay on Dvarsh people and culture, a history of the language, presentation of the writing system, essential grammar, Dvarsh-to-English and English-to-Dvarsh dictionaries, and notes on numerals, time and the calendar. This is the authoritative edition for friends and fans of the Stikmanz universe! It is one thing to construct a language. It is another thing altogether to construct one that breathes life into another world. Dvarsh, the creation of Robert Stikmanz, has been celebrated as beautiful and visionary. Its completeness and imaginative scope compare to Sindarin, Na’vi or Klingon. Like those inventions, Dvarsh is carefully crafted, fully functional, and semantically rich. 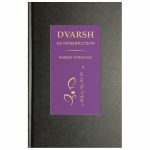 The same care evident in the language shows in Dvarsh, An Introduction. As a reference, the book is well organized, practical and clear. Stikmanz has penned a fine, sober authority. However, he did not stop there. Instead, with a nod to predecessors as diverse as Laurence Sterne, tabletop role-playing, and Codex Seraphinianus, he pushed Dvarsh, An Introduction into a double existence. On the one hand, it is a resource as well formed and powerfully imagined as the language it describes. Features include a short essay on Dvarsh people and culture, a history of the language, presentation of the writing system, essential grammar, Dvarsh-to-English and English-to-Dvarsh dictionaries, and notes on numerals, time and the calendar. On the other, it is a work of engaging prose and sly wit, a puzzle with countless solutions, and a vast field of play. 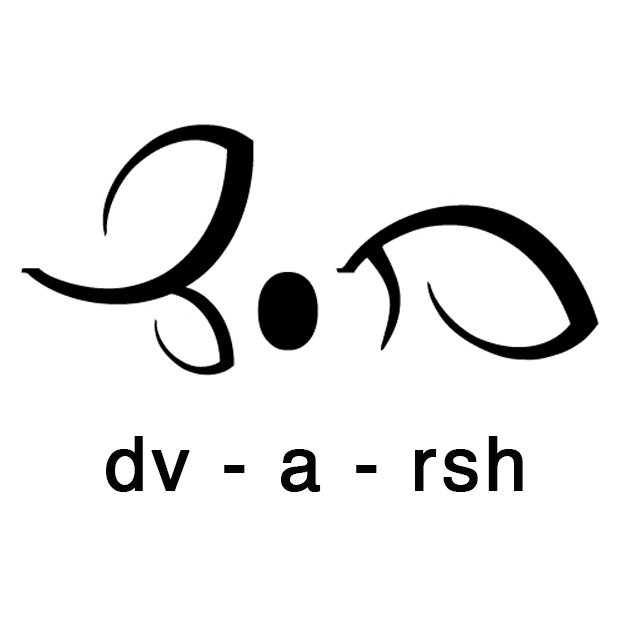 Every part of Dvarsh, An Introduction, from the opening chapters on culture and history, through the grammar and dictionaries, resonates with every other. The interplay of detail evokes worldviews, social dynamics and the anthropology of a fictional civilization. A yellow brick road of interactive literature, the book reveals a different narrative to each seeker on the path. 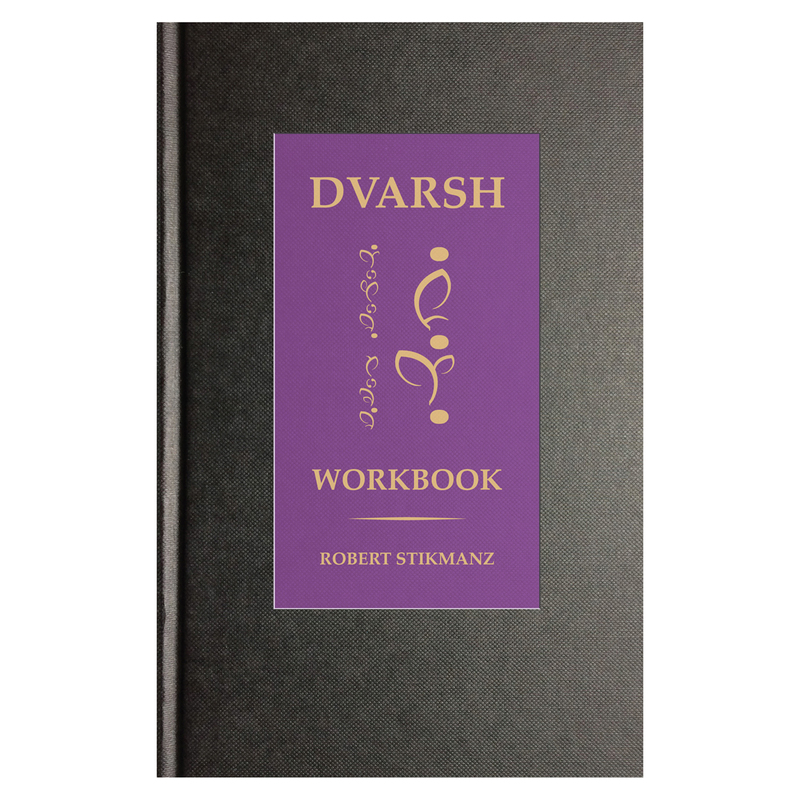 Strange and wonderful, Dvarsh, An Introduction packs a remarkable amount of vision into conceptual space somehow larger than its 162 pages. In November 2017, Robert Stikmanz was named “Best Creator of a New Language” in the Critics’ Picks of the annual Austin Chronicle Best of Austin awards.